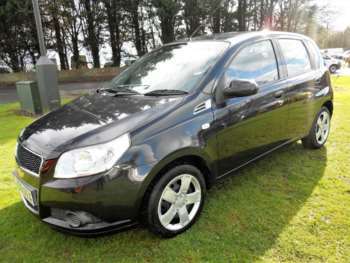 Remember the Daewoo Kalos? 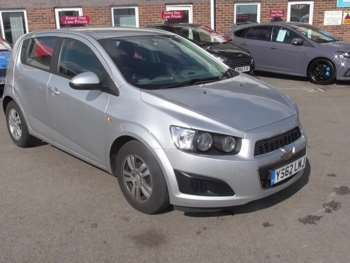 Well, that became the Chevrolet Kalos which, after a quick nip and tuck was relaunched in 2008 as the Chevrolet Aveo. 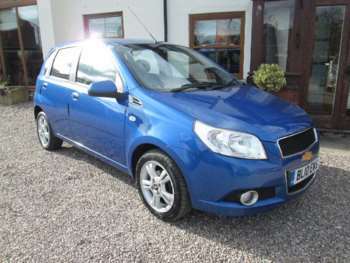 Marketed as a budget supermini, the new Aveo was at one time Chevrolet's most profitable vehicle in its European line up. This is partly due to massive success in Eastern Europe, where they appreciate a decent budget motor. A bigger and sportier upgrade has been on sale in the UK since Autumn 2011. 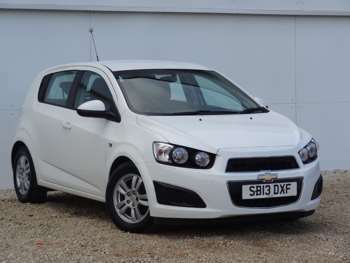 The Chevrolet Aveo looks like a slightly bolder fraternal twin of its Kalos predecessor. Headlights turn up at the sides as if smiling at you and the Chevy logo is discreet beneath a rather ostentatious front grille. It looks more interesting than certain other members of the supermini class, particularly the three door, with exaggerated flares to the rear wheel arches. The interior is rather a let down by comparison, showing its budget car pedigree somewhat. However this is not unusual in cars of this class and Chevrolet have chosen their battles well, with specifications, materials and legroom well thought out with respect to the budget constraints. 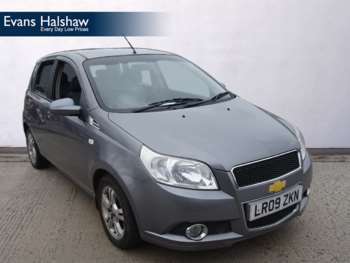 The used Chevrolet Aveo is by no means a big car but its neat design and build make the best use of the space available, leaving some useful room in the back. Available with two engine sizes and in three or five door models, the standard spec is not stingy. There are driver and passenger airbags, CD stereo with MP3 facility and wipers have an intermittent setting – and this is on the entry level model. 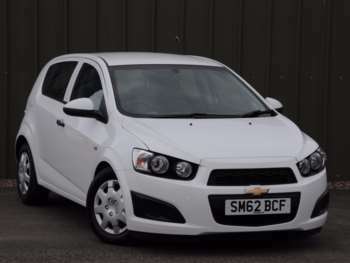 With any luck you'll be able to find a used Chevrolet Aveo that comes with some of the plusher options available such as electric front windows, tinted glass, automatic climate control or 15 inch aluminium wheels. A used Chevy Aveo can be a great bargain. Statistics show that for Aveos sold in the UK, most are second cars, so mileage is often low and they look pretty fresh. 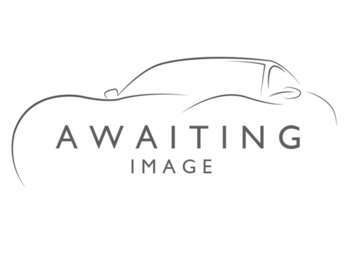 Top of the range 1.4 litre LTs are available for £4,000, with the 1.2 litre S for £3,500. That's quite amazing for a nearly new car. 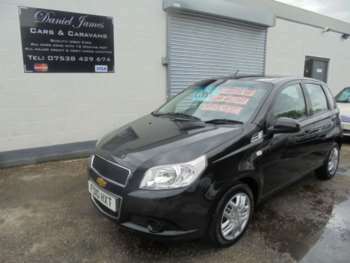 Being nearly new, many second hand Chevrolet Aveo cars for sale will still be within warranty, but check for dents and scratches. As always, aim for a full service history and go through a franchised dealer if possible. As reasonable as you'd expect from a budget car. Clutch assembly kit £90 and air filters for about £12. Front brake pad sets are an acceptable £35 and a water pump should give you change from £60. 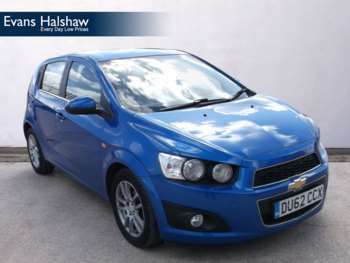 The Chevrolet Aveo is great in its comfort zone, which means urban routes, shopping and the school run. The 1.2 litre tops out at 108mph and the 1.4 at 110 and you won't beat anyone off the lights. Go for the 1.4 litre's useful extra few horsepower if you can for more comfort on the motorway. Visibility and legroom are both good for a small car – and that's the point here. If you want races around testing hill routes, don't look at an Aveo. What you're getting here is a great value little run-around, costing about 60% of some of its rivals with more prestigious badges.